Over is 23-9-1 in DEN last 33 overall. Over is 12-5 in DEN last 17 vs. Western Conference. Over is 7-3 in DEN last 10 Wed. games. Over is 13-3 in LAC last 16 vs. NBA Northwest. 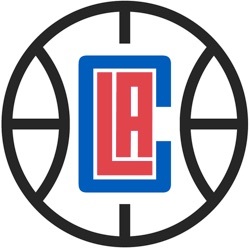 LAC are 11-4-1 ATS in their last 16 Wed. games. Under is 20-7 in the last 27 meetings in LA. Isaiah Thomas PG Ques Wed - Hip - 10/11/18 Thomas is nursing a lingering hip injury and it is unclear if he will play on Wednesday against the Clippers. Michael Porter Jr. PF Ques Wed - Back - 10/11/18 Porter Jr. is recovering from offseason back surgery to repair a herniated disc and it is uncertain if he will make his NBA debut against the Clippers in the season opener. Jarred Vanderbilt SF Out indefinitely - Foot - 9/24/18 Vanderbilt has a foot injury and there is no timetable for return. Luc Mbah a Moute PF Prob Wed - Calf - 10/14/18 Mbah a Moute has a right calf injury but is expected to play in the season opener against the Nuggets.